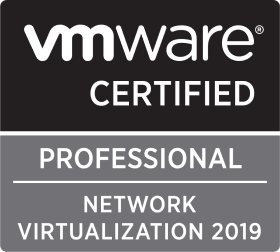 Technical Architect and Design Authority, Gareth Lewis is a VMware Certified Professional specialising in the VMware technology stack (including vSphere, NSX Data Center, vSAN, Horizon View, and Log Insight), storage and storage area networks (Pure Storage, Dell EMC, Nexsan, and Brocade Fibre Channel networking), data centre design and operations, and public cloud technologies (Microsoft Azure). Currently the Senior Infrastructure Architect and Design Authority at the Royal College of Nursing, Gareth has over fifteen years of technical experience within the IT industry. With a deep understanding of both technical and business process, Gareth is able to design, implement, and deliver high quality and highly available solutions to meet customer requirements. Gareth is adaptable and analytical, while being an approachable and collaborative team member. Gareth has strong communication skills, is a leader and a strategic thinker with strong decision-making skills, and has a passion for delivering results. 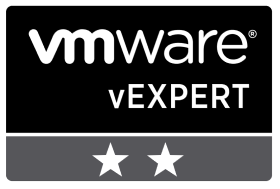 In 2018, Gareth was accepted into the VMware vExpert program and, in March 2019, was awarded vExpert status for a second consecutive year. Feel free to reach out to Gareth on Twitter, LinkedIn, or via the Contact page. Any information or views expressed in this blog are my own and do not represent those of my employer. Unauthorised use or duplication of any material without prior written permission from this website’s author is strictly prohibited.